The classroom is decorated as Dinosaur Land, but Ms. Frizzle, inspired by an archeological dig, craves a more authentic experience. 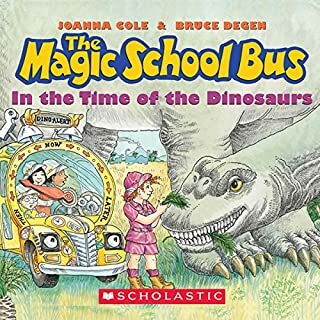 The Magic School Bus turns into a time machine and transports the class back millions of years to an adventure in which they learn about dinosaurs, their habitats and diets, and even a Maiasaura nesting ground. Rock collecting has never been quite like this! When the class forgets to do its homework, a field trip through the Earth's crust, into the center of the Earth, and out through a volcano will teach them not to forget their assignments again - and then some! Like it or not, global warming is a hot topic, and it will affect the younger generation the most. So why not turn to the teacher kids like the most, Ms. Frizzle! Only the Friz can boil all the hoopla down to the scientific facts in a fun and informative way. 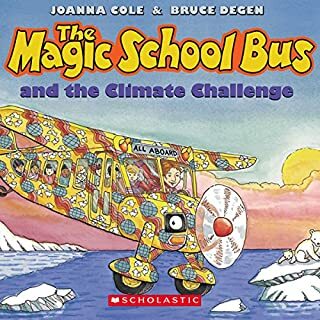 Kids already love the Magic School Bus, and the love to do what's right by the planet. At last, a way to teach the curriculum and make an impact! The fieldtrip to the planetarium is foiled when the museum turns out to be closed, but Ms. Frizzle saves the day. 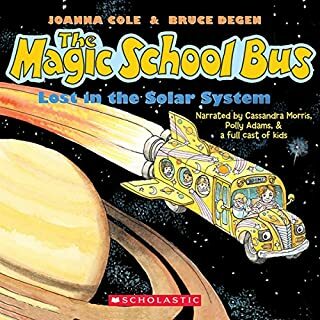 The Magic School Bus turns into a spaceship and takes the class on a trip zooming through the atmosphere, to the Moon, and beyond! With up-to-date facts about the solar system, revised for this edition. best bed time story for kids! The first Magic Tree House® Super Edition - and Jack and Annie's most dangerous mission ever in the scariest time the world has ever known: World War II. With a longer story and additional facts, this is a thrilling adventure no listener will want to miss! Two storybook collections in one volume! Scary Storybook Collection - Boo! Join in the eerie fun with all your favorite Disney characters! Have a spooky slumber party with Mickey and his friends, spend a night out in the rainy jungle with Dug, learn about the Curse of the Crow with Peter Pan, and more! Featuring new stories, this collection is perfectly spook-tacular! Disney Christmas Storybook Collection - Celebrate the season with all your favorite Disney and Disney-Pixar characters! Join Ralph and Vanellope as they throw a Christmas party just for Bad Guys. 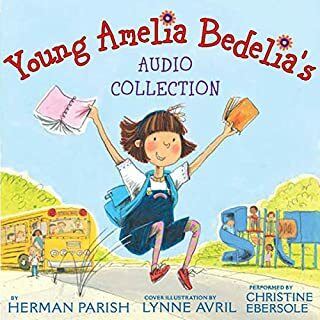 Pinkalicous has fun, fun, fun in all six books in Pinkalicious: The Pinkamazing Storybook Collection - and her listeners will, too. Pinkalicious has a playdate with her friend Rosie. She has a slumber party with a dragon as a guest. She has an adventure with a monkey at the zoo. She takes a ride on her unicorn, Goldilicious, and visits soccer players all over the world. Pinkalicious and Peter enter a hat parade. And she gets to be the flower girl in a wedding. Buckle up for an awesome aquatic adventure with Ms. Frizzle and the class! 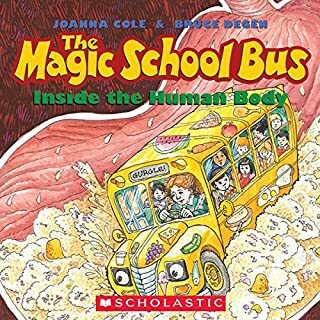 Be aware that only the first 15 minutes or so of this audiobook is the actual Magic School Bus story. (And it's not one of the better stories, in my opinion, only so-so.) The remainder - or as much of it as we could stand to listen to - is a long list of ocean "facts," (the first few being things like "buses can't really drive into oceans") all read by the "teacher," as though she were reading student reports. This is BORING, at best, and tedious and irritating, at worst. All in all, very disappointing. I'm sorry I bought it. This is short, and very tedious. 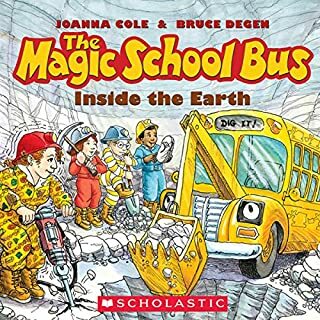 Like another reviewer stated before, there is only about twenty minutes of actual story and the rest of the time is Mrs. Frizzle reading 'facts' . It would have been better to buy the actual book to read out loud before bedtime. Which I will do in the future for The Magic School Bus series. 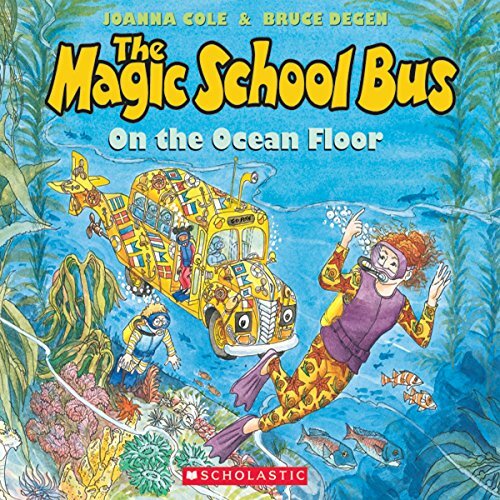 What did you like best about The Magic School Bus on the Ocean Floor? What did you like least? The Audible never mentions that you need the physical book in your possession. It leads you to believe that when you download it on the Kindle, you will get a ebook. But you don't. You get a good listening story but no way for the kids to follow along with an ebook. I feel a little misled especially because at the beginning the instructions tell the kids to turn the page every time they here the 'chime'. But the kids expect to have something to look at and read along. Explained that the user needs the actual book. My daughter loves these books and loved listening to the story over and over. We wish they had more. My child listened to this. It was ok. I really didn't like the voice of Ms Frizzle. I prefer the enthusiastic tv Ms Frizzle. This Ms. Frizzle sounded old, bored and uptight.